Psypoke - View topic - Type combos you would like to see? 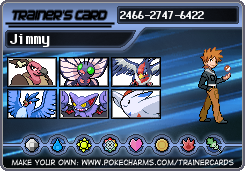 Type combos you would like to see? This thread is for the discussion of what type combos you would like to see in future pokemon games. hmmm there are a lot of possibilities but how about Psychic/Dragon or hmm how about fire/dragon or is that already used? A Electric/Fire pokemon would be awesome. It would be immune to water attacks, since water actually powers up an electric fire. If I'm not wrong such a topic already exists. I'll be grateful if someone can find that topic and/or revive it. -I mean, it just seems like a logical combination to me. They already have a Steel/Dragon type. It's Dialga! Anyway, I'd like to see a Psy/Dark or Dark/Drag. Well, there's , , and ... They are all pretty cool too. A Ghost/Fire type would be neat. The first time I saw at Mt. Pyre I thought that's what it was, *sigh*. whoops that sounded mean after i read it, what i meant was since you were on top of correcting people you missed inscribed. Last edited by Zero Cool on Fri Jun 01, 2007 8:59 pm, edited 1 time in total. Fighting types take normal damage from their own attacks. 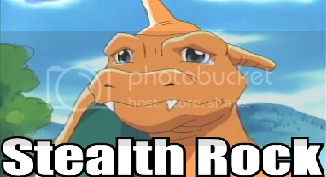 Dark types are resistant to dark type moves. And I would love to see a Psychic/Bug. id wanna see a fire/dragon. flying dus suit him tho. though flying does suit him i believe dragon does more seeing as the typical dragon is a fire breathing lizard. also i just can't see charizard being weak to electricity haha idk though. alright classicks, lets have a look. and with chari on dragon, dragonbreath wuld rule on him! I saw a thread on that, wasn't it supposed to be a hoax??? I think the thread was called LeafSilver FireGold, dumb i know but that was what it was called i hope i can get you a link soon. anyways my fav gens are the 4th and 1st so my needs were satisfied on FireRed haha cause i love charizard. 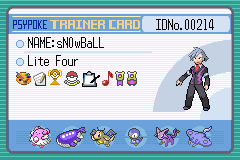 2nd was good but I can't stane RSE even though im trying to beat Emerald to obtain Latios, Mew, Groudon, Kyogre, Regirock, Registeel, Regice, and Rayquaza haha and send them all to my Diamond version. was it all in japanese? n the cases wer all silver and all gold.